The word hydroponics comes from a mixture of two Greek words "hydro" and "ponics". “Hydro” means water and “ponics” means labor. Hydroponic can be defined as a subset of hydro culture and is a way of growing plants, food crops or flowers in water but without any soil. Mineral nutrients are however involved. This means that, using this form of gardening technique, you can grow plants without planting them in the ground and the plants can even be grown indoors, all year round regardless of the climate outdoors as long as the requirements and the needs of the crop are met. The plants which are grown in a hydroponic way require the same basic nutrients and elements as the plants which are grown in the conventional way: air, water, light and food. The main challenge of Hydroponic gardening is to provide the plants the necessary nutrients and elements in the correct proportion. The plants which are grown in the soil are able to get the nutrients that they need directly from the environment, as all healthy soils have the required micro and macro nutrients which are needed by the plants in order to survive. Hydroponics, or the concept of gardening and planting without the use of soil, has been around for thousands of years. The Floating Gardens of China and the Hanging Gardens of Babylon are two of the earliest examples of this type of gardening. The scientists however, started their experiments with soil less gardening back in the 1950's and there has been progress and developments in this concept which came to be known as hydroponic gardening. Many countries such as Germany, Holland and Australia have since have been using hydroponics for crop production quite successfully. The most obvious advantage of hydroponic gardening is that there is no need for a yard or a garden to grow your plants, crops or flowers! It is also quite affordable, even though it may seem that a scientific system of growing plants must be out of budget but it is something that is doable which can be done on a budget. Through this system of planting, you no longer have to be dependent on seasonal planting and you can do your gardening all year round regardless of any climate outdoors. The plants grow faster under this system. According to the experts, plants grow at least 20% faster in the hydroponic system, as compared to the conventional way with the soil. As compared to growing the plants in the soil, the yield of the plants under the hydroponic system is around 20-25% bigger. The plants end up growing bigger and producing more since they do not have to do so much work in order to obtain their required nutrients. Even those plants with a small system of roots will be able to provide it with what is requied and as such the plant will focus on growing above instead of expanding towards the root system. It is a convenient way of growing plants, especially for those people who are living in apartments or where soil is not available. It is also an advantage for gardening in those areas where the garden soil is of poor quality or not fit for growing plants, crops or flowers. This form of gardening takes up less space than the conventional way. The plants do not really need to grow their roots in an extensive way in order to obtain the nutrients which are required for their adequate growth. As such, the plants can be packed and grown together in close proximity which is yet another advantage for those who live in small spaces or for apartment dwellers or those who want to do indoor gardening. Since the reservoirs which are used in the hydroponic system are enclosed and sealed in order to prevent any evaporation, this way helps to save water. The plants only end up taking the water which is required. The hydroponic system is better for the overall environment since it is able to reduce pollution and waste which happens from soil runoff. It can be seen as a way of enjoyment. Once a person gets hooked on this way of gardening, it become enjoyable especially when you see the flowers bloom or the crops grow completely. It helps to bond the family together, as this form of gardening can be done together as a family where you can teach the children about the basics and spend quality time with them. Hydroponic gardening almost eliminates the need for pesticides as well as herbicides. This system only needs about 1/4 of the fertilizer in the planting unlike the conventional gardening with the soil. Since there is no soil, it helps to eliminate the soil borne pests and diseases which affects the traditional gardening. Hydroponic gardening is able to produce about the same yeild as compared to the soil gardening, only in 1/5 of the area. This is a great environmental advantage since the amount of arable land is slowly decreasing. Hydroponic system can produce yields multiple times in a year, rather than just once which is a great thing as it makes better use of the resources. It can be seen as a great form of food source especially in the over-populated regions of the world where people can simply grow food in their basements or rooftops. The hydroponic system of gardening gives the user complete control over the planting as they can have a complete control over the temperature, the nutrient mixture, growing schedule and humidity. The best thing about hydroponics is that there are different types of systems which are available. Some of the best systems combine the different ways of hydroponics all into one. There are also multiple ways of getting the nutrient solution to your plants. From the many different systems of hydroponics, you can choose the one which suits your requirements the best. All of these hydroponic systems can be built using individual components which can be bought separately. Alternatively, you even have the option by buying a complete set up kit online from a hydroponic retail store. The Deepwater culture or DWC is also known as the reservoir method and it is also one of the easiest way of growing plants using the hydroponic system. In this method, the roots of the plants are suspended in the nutrient solution. The aquarium air pump provides oxygen to the nutrient solution and this helps to prevent the roots of the plants from drowning in the water. It is important to remember to prevent any light from penetrating into this system, as this can create algae growth and completely destroy the system which you have created. The most important benefit of using this deepwater culture method of hydroponics is that there are no spray or drip emitters to clog. This is one of the reasons why this system is the best choice for organic hydroponics as those systems which use organic nutrients are more likely to clog. This method is ideal for growing crops like lettuce which is a water loving and fast growing plant and very few of the other types of plants will do well in this system other than lettuce. This system is quite popular in class room teaching. The biggest drawback of this system is that it does not perform well with long term plants or large plants. NFT or Nutrient Film Technique is another system of hydroponics where there is a continuous flow of nutrient solution that flows over the roots of the plants. The nutrient solution should flow with the force of gravity as such this solution is kept on a slight tilt. This method of hydroponics works quite well since the plant roots is able to absorb great amount of oxygen from the air than from the nutrient solution. Only the tips of the plant roots are in contact with the nutrient solution and this way the plant is able to get more oxygen which helps in the growth of the plant. In this method, there is generally no other medium which is used other than the air which helps to save on the added expense of having to replace the growing medium after every crop. This method of hydroponic is where the roots of the plant are misted with the nutrient solution while they are suspended in the air. There are two ways for getting the solution to the exposed roots of the plant. In the first method, a fine spray nozzle is used for misting the plant roots while in the second method, a pond fogger is used. This is one of the simplest methods mechanically and also very easy to set up since there are no moving parts involved. In this system, there is a reservoir that is filled with nutrients and water and above it there is a container that is filled with the growing medium. Both of the containers are connected with one another through a wick that draws the water and the nutrient mixture up towards the growing medium, through which it is absorbed by the plant roots. This method is quite useful when you want to learn about the basics of hydroponic system of gardening. This method however, may not work too well with plants which are water hungry or very large such as lettuce since the wick is not able to provide the water fast enough. 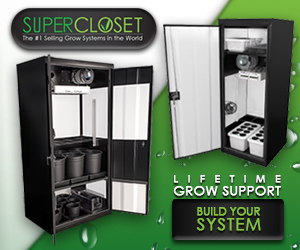 This system works very well with other plants and crops such as peppers or micro greens or herbs. This method is extremely versatile although it may be a little complex than the rest of the methods. This method works through flooding the growing medium through a nutrient and water solution and then it drains it back into the reservoir. In order to achieve this, this system needs a submersible pump that has a timer as well. This method has the advantage that you can use the timer for customizing the watering schedule of the plants which is based on the size of the plant, temperature or the number of plants and humidity, etc. There is also the option for potting plants each in an individual pot through which you can easily customize or fill the whole tray with growing medium and growing the plants on the tray directly. The major disadvantage of this method however is that there may be vulnerability for pump and timer failures as well as of power outages for the loose types of growing medium. One way of relieving this problem is by using a growing medium that is able to retain the maximum amount of water, such as coconut fiber or rockwool. This method of hydroponic system is ideal for the first timers since it is reliable and easy. The drip system is most likely one of the most widely used system of hydroponics in the world. The way it works is quite simple, There is a timer which controls a submersed pump and the timers turns the pump on and the solution mixed with the nutrients is dripped on the base of each plant using a very small drip line. Once you have decided that you want to give the hydroponic system of gardening a chance you must decide which method you will use. As mentioned already, it is best to go for a simple and easy way so that you can learn by doing. Many such methods have complete set up kits available that can get you started in no time. If you however want to start and do everything from scratch on your own, then you must make sure you have the following requirements as mentioned below. Almost anything can be grown using the hydroponic system of gardening, but for the beginners, it is best to start small. The best choices for growing are vegetables and herbs, since they grow very fast and also do not require much maintenance and neither do they require a large range of nutrients. Those plants or crops which grow at an accelerated rate are better to grow since it becomes easy for you to assess how good your system is working and whether you need to make changes if necessary. It can be quite disappointing for anyone to wait for months until it is time to harvest the crops and only to realize that the hydroponic system you have created is not working correctly. As such, those plants or crops which are less maintenance are better for the first timers since it allows them to focus on learning about the system of hydroponics and eventually once they know how it works, they can move on to the more complex plants later. If you decide to grow a wide range of plants, then you must make sure that they all have similar requirements for their nutrients, so that they are able to grow well together. Many hydroponic systems of gardening are placed indoors where there is hardly any direct sunlight throughout the day. Most of the plants which are edible need at least six hours of sunlight every single day and twelve or sixteen hours is even better for their growth. In such a case, either you should have a sunroom or where you place your plants or have a space with plenty of exposure towards the windows. If neither of that is possible, then you would have to provide your plants supplemental grow lights. The hydroponic kit systems which are available in the market are quite often equipped with the light fixtures which are necessary to provide the required lights. If you are however, creating your own set and piecing together your own components, in such a case, you would need to buy the lighting fixtures separately. The lighting which works best for the hydroponic system is the High Intensity Discharge light fixtures or HID for short. These include either the Metal Halide (MH) or the High Pressure Sodium (HPS). The light from the High Pressure Sodium is able to give a more red and orange type of light, which is ideal for those plants which are in the vegetative growth phase. Another type of light which is used in the hydroponic gardening systems is the T5, which produces a very high output and fluorescent type of light that has low heat and quite a low consumption of energy. This type of lighting works well with those plants which have a short growth cyle as well as for those plants with plant cuttings. When determining what types of grow lights you want to use for your system, one factor to remember is what it will cost you to run those lights. Different types of lights will require different amount of power which can add up in the long run. You can use our free grow light cost calculator to help estimate how much a lighting system may cost you to run. When you are placing lights for your plants in the hydroponic system, you must make sure you put the lights along with a timer so that the lights come and go on every day at the same time. Another important factor that you should keep in mind is setting up the hydroponic system in the right room conditions. The key element for this is the temperature which should be considered, the relative humidity, air circulation as well as the CO2 levels. The ideal level of humidity for the hydroponic grow room is around 40-60% relative humidity. If there is a higher level of humidity, especially with air circulation which is poor, it can lead to fungal problems. The ideal temperature in the grow room should be between 68 and 70F. In case of high temperatures, it can cause the plants to be stunted and in case the temperature of the water is high, it can lead to the roots to rot. There should also be an ample supply of CO2 in the room. CO2 stands for carbon dioxide and the best way to make sure it is there, is to ensure that there is constant flow of air in the grow room. Those people who are experts in the hydroponic system of gardening may supplement the CO2 levels in the grow room, as the greater the level of carbon dioxide in the air, the better it is for the plants to grow at a faster pace. There are two main factors which influence the ability of the water to deliver the dissolved nutrients to the growing plants, which is the PH of the water as well as the level of the mineral salts which is present in the water and is measured by the PPM. Water which has high mineral content or the "hard" water would not be able to dissolve the nutrients in the water as effectively as the water which has low mineral content. As such, you would need to filter your water if there is high level of mineral content present. The PH level on the other hand, which is the ideal level, is around 5.8 to 6.2 (slightly acidic). In case the water which you have does not meet the pH requirement, then you can make adjustments to the water using chemicals to meet the ideal range of pH. The fertilizers or the nutrients which are used in the hydroponic system are available quite easily in two forms, liquid as well as in the dry form. They are also available in both synthetic as well as in organic type. Either of these types can be used by dissolving into the water, for creating a nutrient mixture which is needed by the hydroponic system. Whichever product you use, it must include both of the main macronutrients which are potassium, nitrogen, calcium, magnesium as well as phosphorus and also the important micronutrients which include small amounts of manganese, iron, boron, copper, zinc, chlorine and molybdenum. There are many nutrients which are available and made especially for using in the hydroponic system of growing plants and the results are quite good if you use them as per the directions on the package. You should however, avoid the standard type of garden fertilizers for the hydroponic system since the standard ones are made for the traditional soil based planting and not for the hydroponic system. Always go for the hydroponic nutrients which are made especially for your requirements. For example, there are some which are made for flowering plants; others may be for the vegetative growth like the leafy vegetables. Apart from the must have basic hydroponic set up, there are a few additional items which are good to have for the beginners to the hydroponic system. Meters: You would be required to have meters in order to test the pH and the PPM levels of the water and also for checking the relative humidity and the temperature of the grow room. Some combination meters are available which are able to test the PPM, pH and the water temperature. Humidifiers: You may also be required to purchase a room humidifier or a dehumidifier, depending on the climate in order for you to adjust the relative humidity at the optimal levels in your grow room. Fans: You should also invest in some kind of an air circulation equipment or a fan so that you can make the air flow better in your grow room. When you are starting out, you can simply use a oscillating fan but as you get more experienced you can invest in a more advanced air intake and exhaust system. Herbs for example, parsley, basil, cilantro, oregano and mint. Green for example, spinach, lettuce, kale and Swiss chard. Since there is no soil in the hydroponic system of gardening, as such you would have to choose what medium you will replace the soil with; the two main mediums which are ideal for the beginners are the Clay Balls (also called LECA) and the Coconut Coir. This is made from the husks of coconut and is composed of micro sponges which are quite tiny in size and are able to absorb around eight times their weight in placed in the water. The coconut coir medium works very well for almost all types of systems, except the Ebb and Flow system. LECA is made by heating clay balls in extremely high heat till they expand. It stands for Lightweight Expanded Clay Aggregate and it excels with drainage and neither do they move and as such, this form of medium is perfect for the ebb and flow system. Once you have set up everything now you must make sure you monitor your hydroponic crops regularly. They should be monitored at least once a week or if the plants are showing some signs of stress, in that case, they should be monitored more often as needed. You must also check the nutrient levels as well as the water and the pH levels to make sure they are there where it should be. You must also check the plants for disease or any pests. You can have monitoring cards, which are sticky blue or yellow colored cards which are able to attract flying pests and can be placed around your plants. It is important to check them and to replace if necessary in a great non chemical tool of insect scouting. The mechanics of your hydroponic system should be monitored on a regular basis as well in order to ensure that the pump is not clogged, and in case you are using a filter, you should make sure it is clean or replaced regularly. You should also check the timer and the lights to ensure that there is proper operation and the hydroponic system is running smoothly. The water needs to be changed in case there is a sign of any disease so that any pathogens are not circulating in the water. The water should also be changed between the plants so that there are no decaying leaves or any lingering pieces of leaves or roots from the previous crops. As such the water should be changed whenever you feel the reservoir is dirty and if you feel the crops are not performing well. It is no surprise that around 43 million of American households are expected to grow their own fruits, vegetables, herbs and berries this year, which is up by 19% this year, according to the National Gardening Association. With the gas and the food prices skyrocketing, it becomes difficult for an average person to spend so much on basic food items. Moreover, there is also the satisfaction of growing your own fruits and vegetables as it gives a more enhanced flavor and also helps to save money. There is also of course, the joy and pride of eating your own home grown vegetables! The hydroponic system of gardening is no doubt here to stay, with so many benefits that it provides people, including the biggest benefit of all - that it is environmental friendly. With the movement towards the health conscious society on the rise, this is a great opportunity for hydroponics and organic farming.